Your Skin Doesn’t Have To Be. 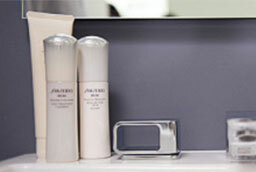 The exclusive Ibuki Shape Memorizing Cell TechnologyTM helps skin naturally restore itself for clear, stable skin. Add the Japanese “secret step” to your am routine. After cleansing, apply the Softening Concentrate for optimum hydration and all day smoothness. Feeling the effects of lack of sleep? 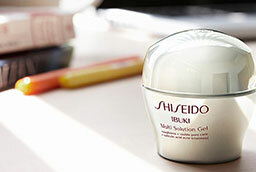 Reach for Ibuki Multi Solution Gel to combat any unwanted blemishes. Apply twice daily, morning and evening, after cleansing and balancing skin. Pump twice to dispense serum into the palm of hand. Use circular upward motions, smooth the concentrate evenly over face to leave skin feeling soft and silky. Press into skin with the brush. You may also use your hands to apply if needed. Blend and smooth using light, short strokes.